The two PACs that represented North America and Latin America and EMEA and Asia-Pacific were so valuable to us that we are now launching six geo-specific PACs: North America, Latin America, EMEA, Australia and New Zealand, South-East Asia and India, and Japan. Each PAC will bring a fresh perspective to HubSpot’s agency partner program, and will act as a sounding board for the company as we continue to improve the program in the future. The new PAC members were selected through a competitive application process. Each application was reviewed by the senior partner program leadership team at HubSpot, taking into consideration the quality of the ideas provided by the partners as well as their tiers and tenure in the program. The PACs will meet virtually every other month to discuss changes and updates to the Partner Program as well as provide feedback on product betas, partner tools, and partner engagement. 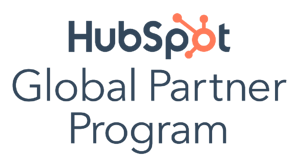 To learn more about the HubSpot Partner Program, please visit https://www.hubspot.com/partners.